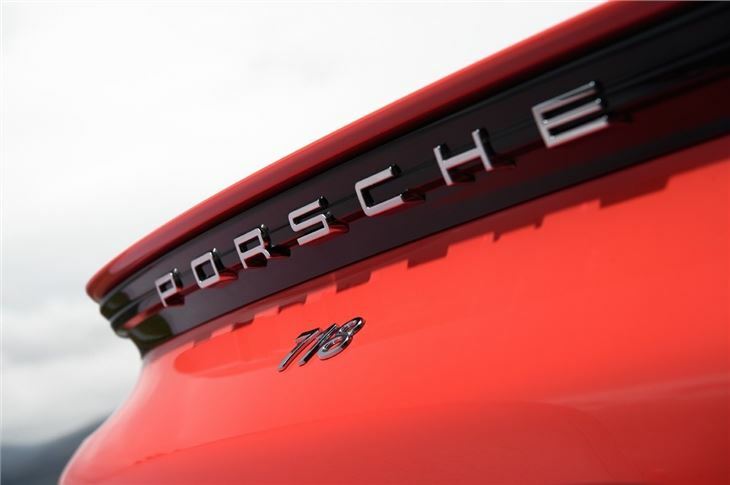 Updated Boxster gets new name and switches to four-cylinder engines. Quicker yet more economical than previously. Beautifully balanced handling. Comfortable and easy to live with day to day. Engines lack the character and sound of the previous six-cylinder units. 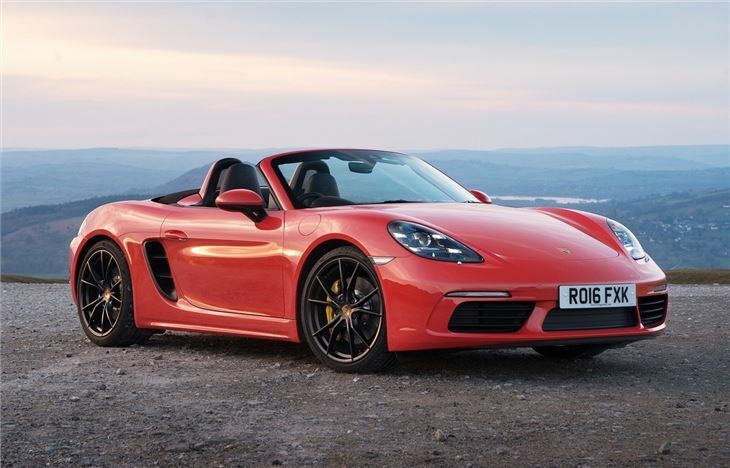 The 718 Boxster sees Porsche rename its two-seater open-top sports car as part of a mid-life update. But there's more to this than merely a cosmetic nip and tuck. 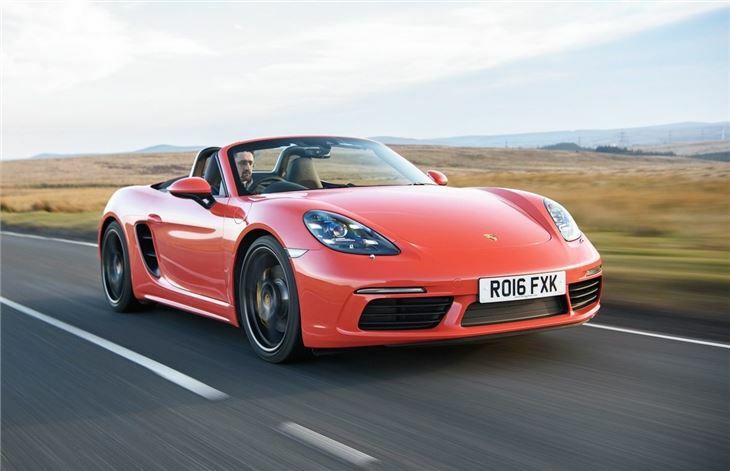 It may not look that different, but under the skin there are big changes with four-cylinder turbocharged engines replacing the six-cylinder units of the previous Boxster. The purists will no doubt be up in arms but the change to smaller 2.0-litre and 2.5-litre turbo engines makes perfect sense. Both deliver more power - 35PS to be precise - along with more torque which means quicker 0-62mph times. Add in significant improvements in fuel economy and it's a no brainer. 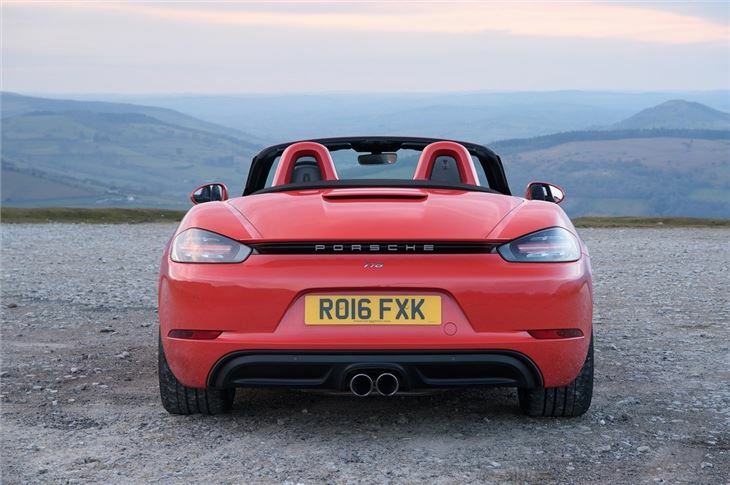 With 350PS, the Boxster S is supremely quick with a 0-62mph time of just 4.6 seconds with the standard manual gearbox. We'd always recommend this as we think it's more involving, but the PDK automatic is also very good and provides faster acceleration with better official economy. 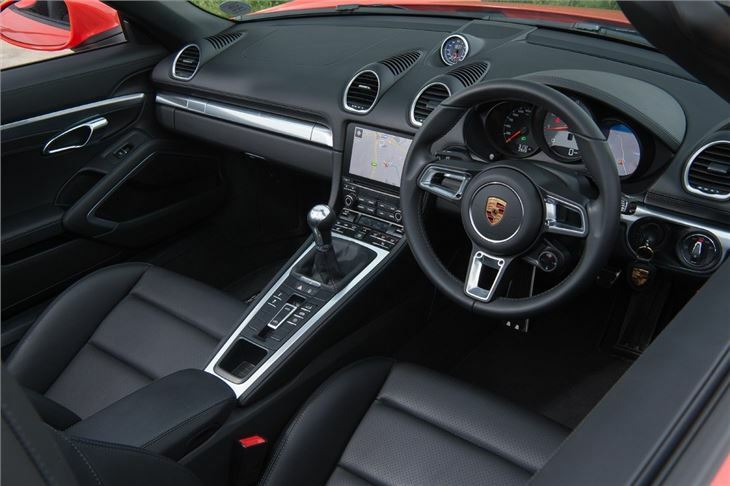 Inside there are minor changes, the most significant of which is a much improved touchscreen system which is far better than what Porsche had previously, both in its look and operation. What's not so good with the 718 Boxster is the sound. Despite new exhausts, the flat-four engine can't replicate the same noise as the previous six-cylinder units. It doesn't have the same character either so while it's undoubtedly fast, it lacks that distinctive Porsche sound that's so recognisable. That's not to say the 718 Boxster is disappointing. Far from it. Not only is it quicker but thanks to more torque and the fact the engines are now turbocharged, it pulls with even more gusto. Porsche has uprated the brakes to improve stopping power and the suspension has been tuned to make it even better through corners. 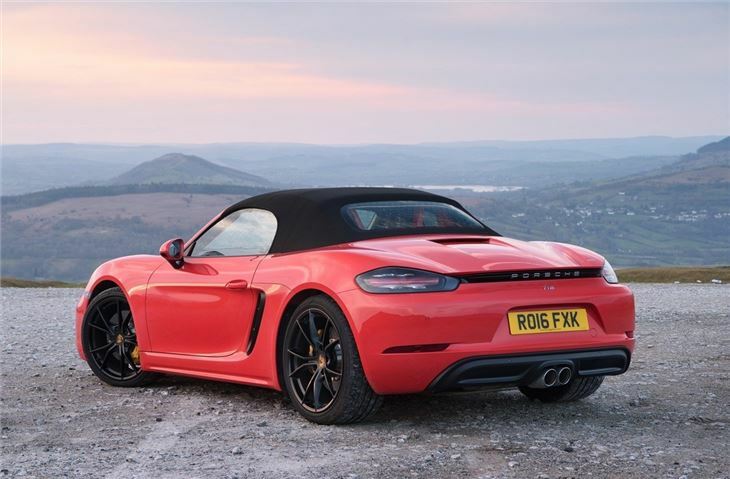 Like its predecessor, the 718 Boxster is a genuine sports car you can live with every day. It's comfortable and easy to drive, whether around town or on an open road, helped by an impressively forgiving ride and a light gearchange. Yet when you get it onto a more challenging road, it shows its natural qualities, with wonderful steering and huge amounts of grip instilling plenty of confidence. It forgives mistakes too and is no intimidating performance car, even when pushed. 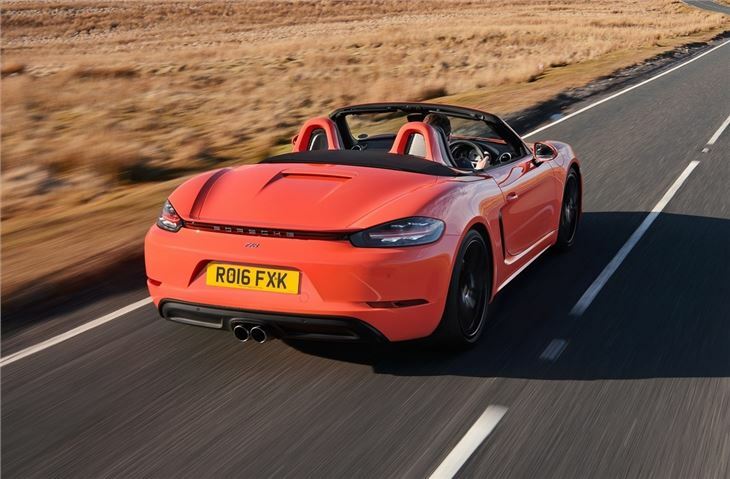 The 718 Boxster, likes its predecessor, is the best two-seater performance convertible you can buy. It may not have the same character as before, but it makes up for that with sublime handling, strong performance and everyday comfort.